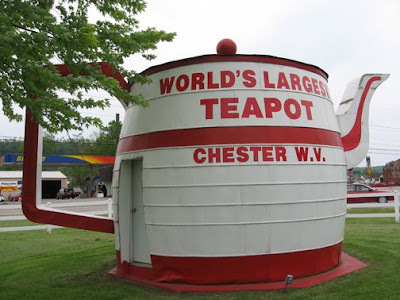 Louisville, Kentucky is home to what all seekers of eccentric roadside attractions love the most, the world's biggest whatever. Actually the world's two biggest whatevers, in this case bats. The baseball kind and the vampire kind. 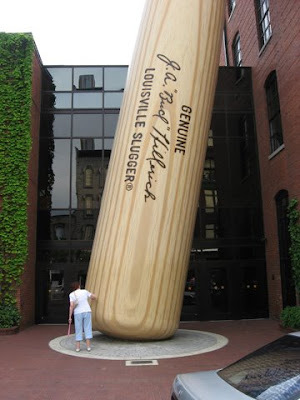 The Hillerich & Bradsby Co. are the proud makers of the Louisville Slugger baseball bat, now in its 125th year. 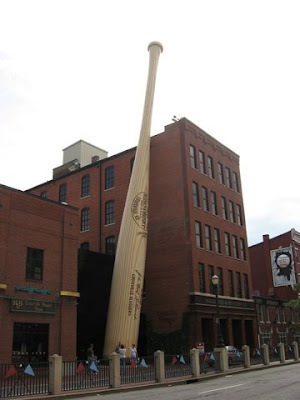 In 1995, they placed the world's biggest baseball bat outside their new company headquarters on Main Street, all 125 feet of it. 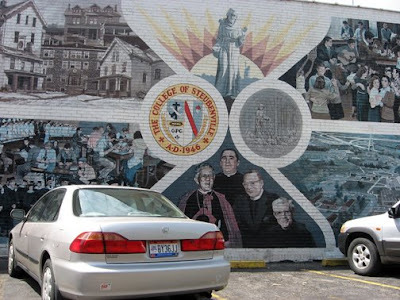 You don't have to be a baseball fan to see they really knocked it out of the park with this one. 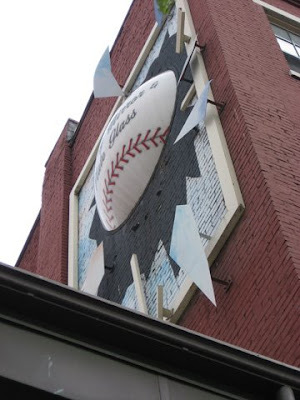 It leans surreally against their staid brick building with their burned-in logo on the side of the bat the size of 2 full-grown adults. Inside they have a really big baseball glove, too, but we didn't get a chance to see it as we got there after closing. 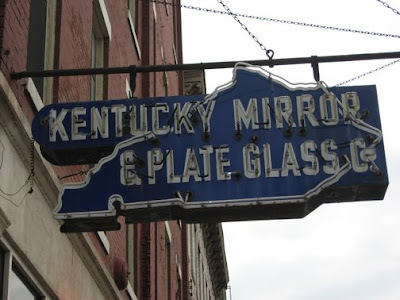 Next door, the Kentucky Mirror & Plate Glass Company headquarters gets into the act with their rendition of a giant baseball smashing through a window. 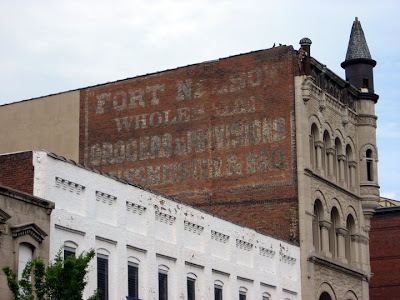 They go together like peanuts and Cracker Jacks. 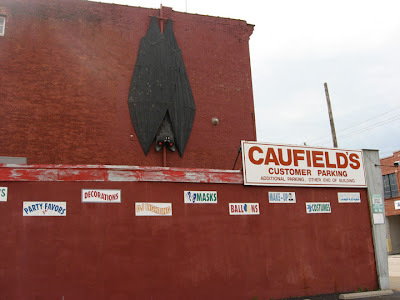 Less than a mile down the road Caulfield's Novelty Company keeps the bat theme going, albeit in their own kooky Halloween-and-novelty-supply-warehouse way. 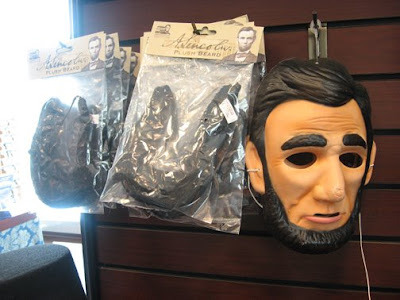 They're one of the largest theatrical distributors in the nation, actively stocking 1000’s of items including party supplies, hats, wigs, makeup, and, one would assume, fake vomit, too. 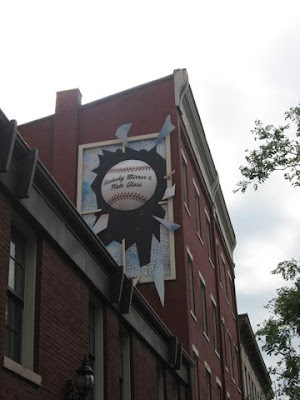 To compliment the Louisville Slugger down the road, they've got a big scary vampire bat hanging upside down from their spacious headquarters. 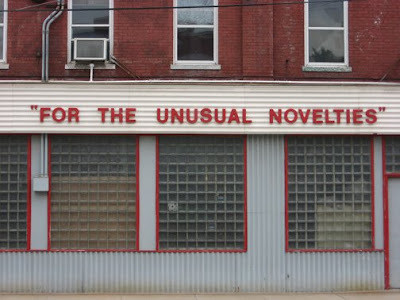 And bat's the way it is in Louisville. 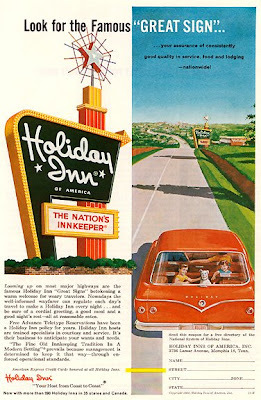 Looking out the back of the station wagon with a Holiday Inn sign on the horizon... life is sweet! 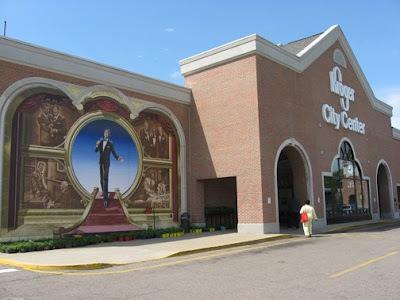 The interim sign from the 1980s-2000's: corporate but still a little kitschy. 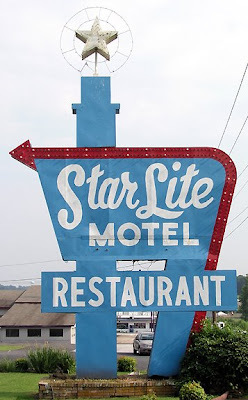 Nice motel, really boring signage. 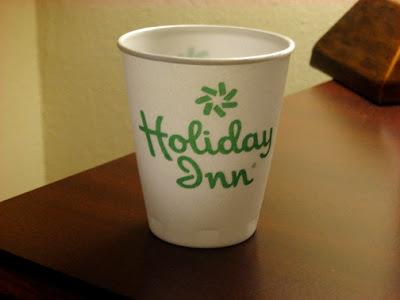 They still had the old logo on their deluxe coffee cups inside, though. 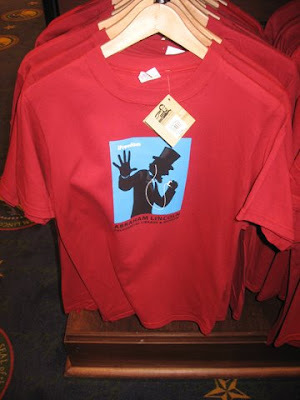 An homage to the master. 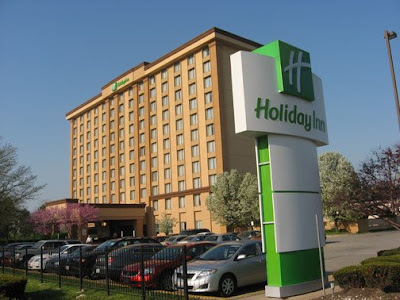 We had a very pleasant stay at a Holiday Inn hotel near Chicago's O'Hare airport recently. 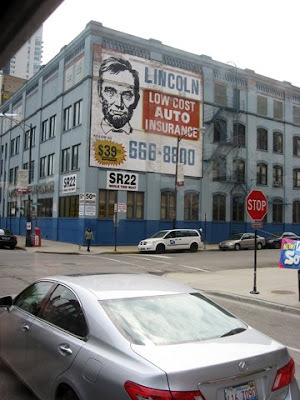 Nice room, great service, friendly staff, terrific internet deal on the rate, quiet, clean. No complaints at all. Well... almost. 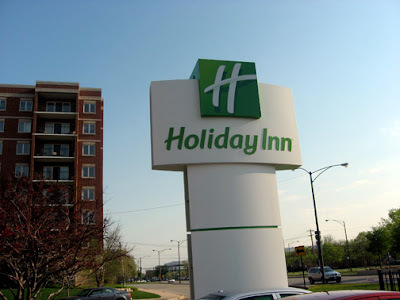 It seems the InterContinental Hotels Group which owns the chain has begun what they call a world-wide relaunch of the brand that includes a redesign of their logo and signage. 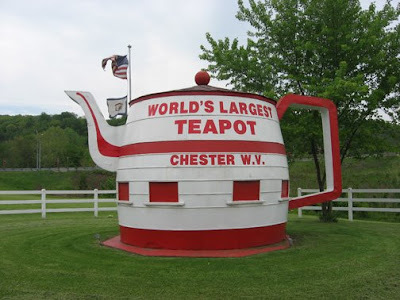 There are some things that should just never be redesigned. The Mona Lisa. The Taj Mahal. 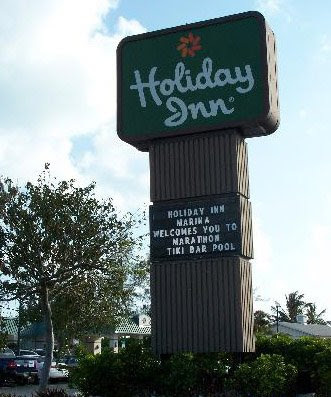 The Holiday Inn sign. 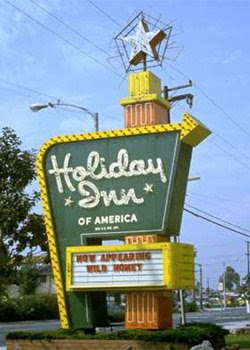 When the chain began in the 1950s, road travellers were beckoned by a giant green and yellow gleaming 42-foot tall monolith with a friendly hand-written-looking script typeface and a chaser-bulbed arrow topped with a shining neon star to lead you to to the comfort and luxury of the best motel chain on the open highway. 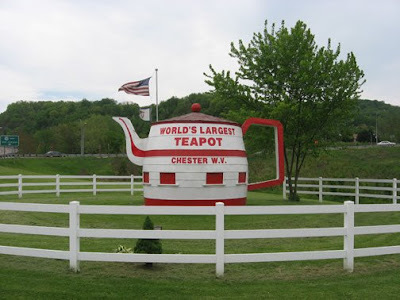 When you saw that sign you just had to ooh and ahh. 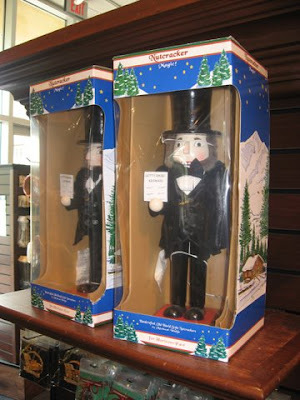 It was a true American icon blinking you in the face. 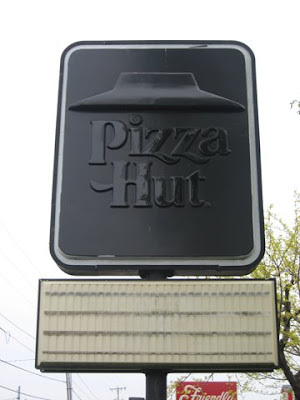 In the 1980s, they did away with the big signs for a more contemporary backlit box, but they kept that distinctive script, to remind you of those comfortable kitschy American roots. 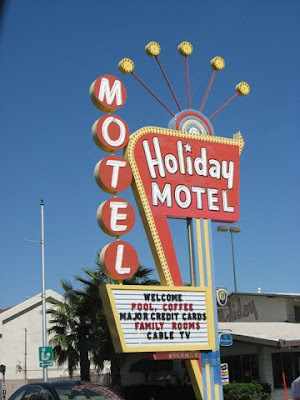 But now it seems even the script is gone, replaced by a bland sans-serif typeface suitable for any generic purpose. 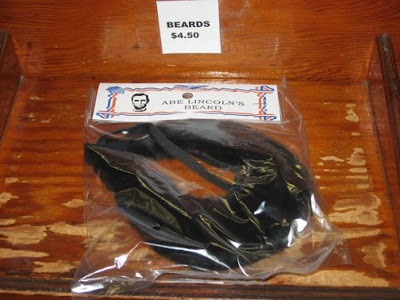 Bring it back, oh please bring it back. Doing away with that old logo is Inn-considerate, Inn-correct, Inn-comprehensible, Inn-defensible, and, well, you get the idea. 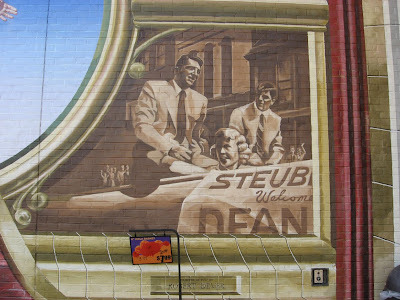 Dean Martin's hometown: When the moon hits your eye like a big pizza pie that's Steubenville, Ohio. 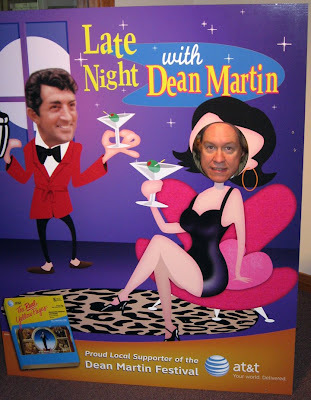 Nobody was a cooler entertainer than Dean Martin. 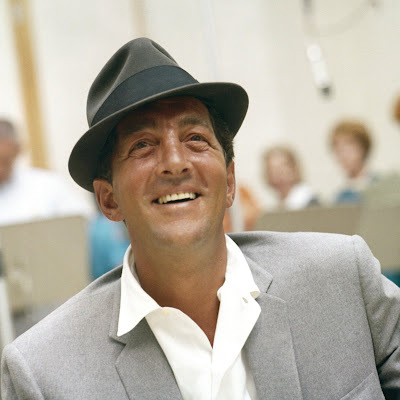 For decades he was everyone's favorite breezy, tux-wearing, skirt-chasing, pseudo-drunk crooner. He was the guy with the "who cares?" attitude that Frank Sinatra always tried to be like but was too intense a person to pull off. 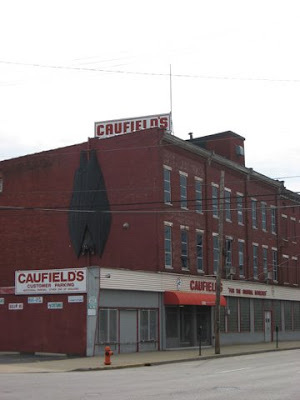 You would have expected him to have been from a swingin' cosmopolitan place like New York or Chicago, but he was born and raised in the unlikely industrial rustbelt town of Steubenville in eastern-most Ohio, not too far from Pittsburgh on the Ohio river. 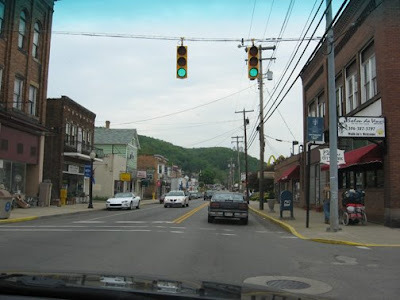 Wikipedia says "During its heyday in the period of the 1940s-60s, Steubenville was popularly known as "Little Chicago," a nickname that, on the one hand, evoked the city's prolific industry and downtown bustle, while on the other hand suggesting Steubenville's reputation for crime, gambling, and corruption." 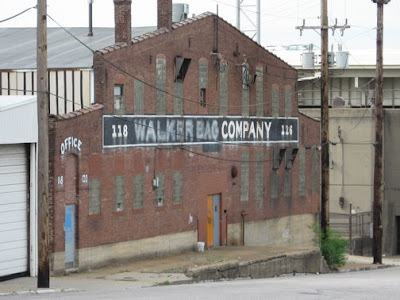 The town today is a hardscrabble yet earnest place, trying to beautify and better itself despite some hard times (and what smells like the fumes from a chemical processing plant in the air). 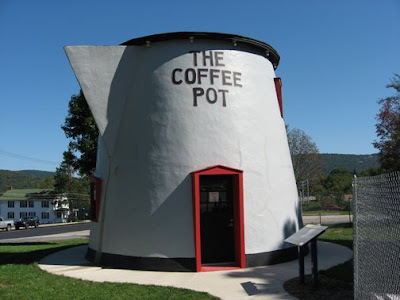 It has Fort Steuben, a strategic camp from the post-Revolutionary era. 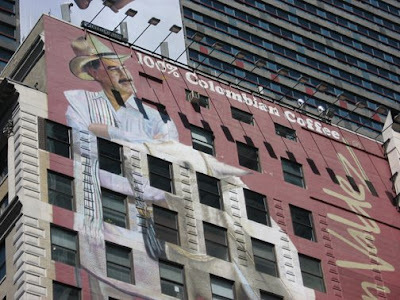 It also has 25 beautiful murals painted on the outside of downtown buildings. Really nice ones. But Dino is still the main attraction here. 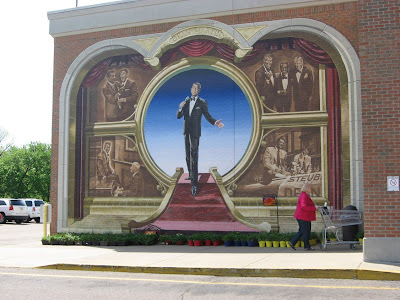 His mural is the nicest and it's next to the Kroger's Supermarket, where everybody can see it. And they've renamed a stretch of Rt. 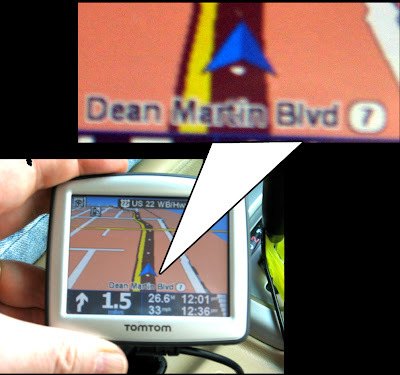 7, the main drag, Dean Martin Boulevard. 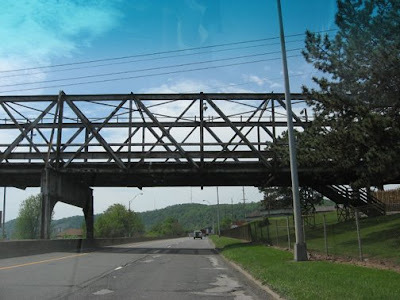 It doesn't pass by glamorous casinos and nightclubs, though...just smoky power plants and rusty steel bridges, but, hey, they did the best they could. 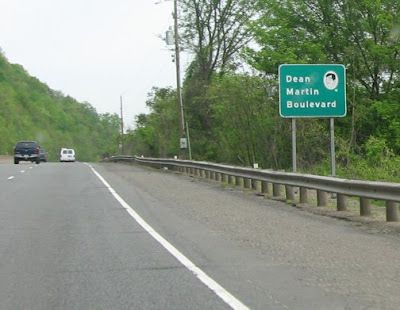 And if you're in the area this Thursday through Sunday (June 18-21), they're having their yearly Dean Martin Festival, which should be a gasser, pallie, a real gasser. Everybody loves somebody sometime. 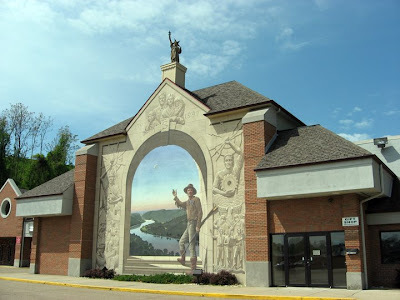 We took a long drive on Route 7 along the Ohio River near the West Virginia panhandle, where one side of the river is West Virginia and the other side is Ohio. 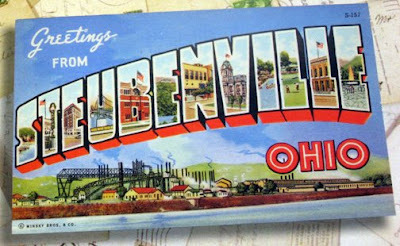 The mighty Ohio is a pretty river dotted with some decidedly unpretty coal and nuclear power plants. 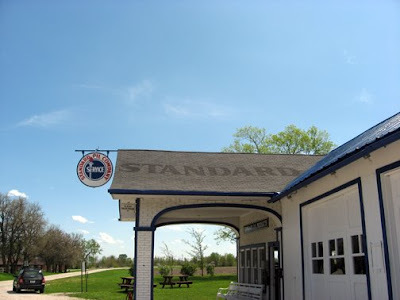 I'd never driven past a nuke plant before and somehow never imaged they'd be right by the side of the road, belching God knows what into the air. 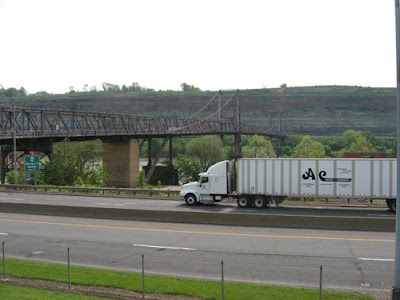 And in a scene right out of The Simpsons, there were a smattering of campers and RVs parked along the Ohio, overlooking the 3-Mile Island-like view on the West Virginia side. Happy campers, all. 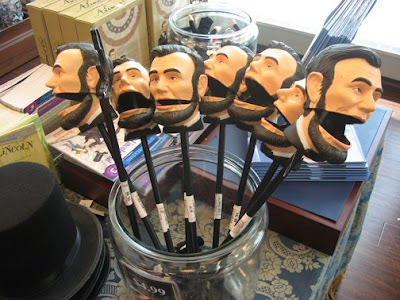 Abe's head on a stick, anyone? 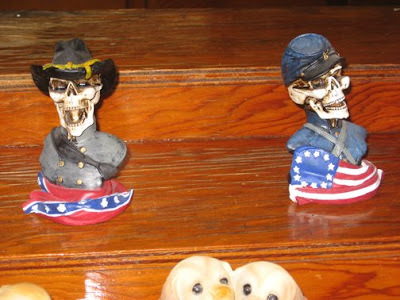 but Civil War knickknacks don't come any creepier. 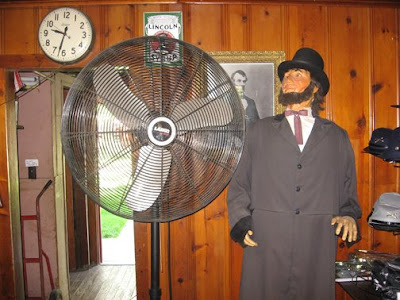 Lincoln and a big fan. The sticker on the plate reads "Note for Food Use: Food Consumed from this Vessel May Be Harmful". In other words, it's for lookin', not cookin'. 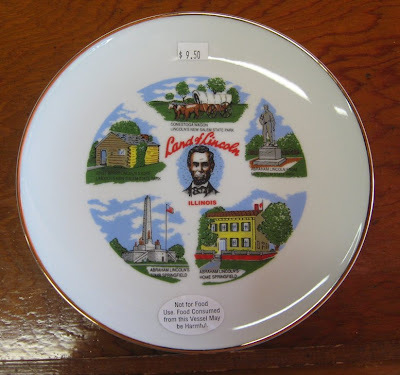 What friend or loved-one wouldn't want one of the fine Abraham Lincoln mementos offered by the splendid gift and souvenir emporiums of Springfield, Illinois? 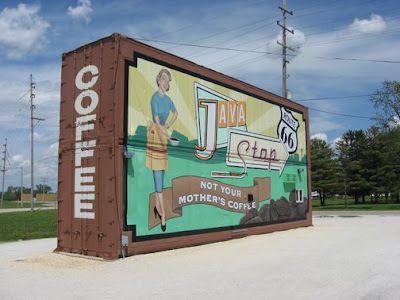 I've been following Frank Jump's excellent Fading Ad Blog for some time now and it inspired me to shoot some buildings with signs painted on them in various states of repair on our last road trip. 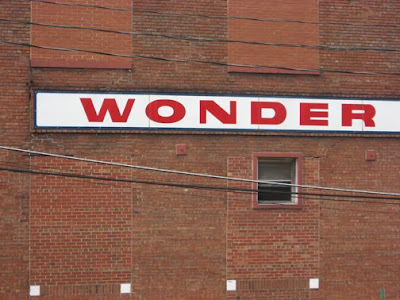 There's something very nostalgic and melancholy about a painted sign on a brick building. 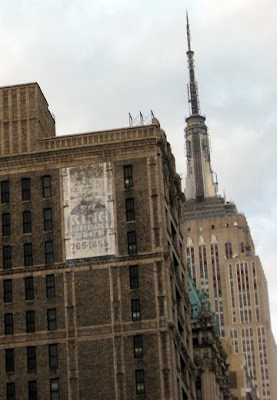 Even a recently painted one looks a little lonely in today's hi-def high-tech world. I'll take lo-tech any day.